Possibly the most epic engagement session. This couple choose Barcade and Frankford Hall in Philadelphia as a backdrop for their engagement photos. 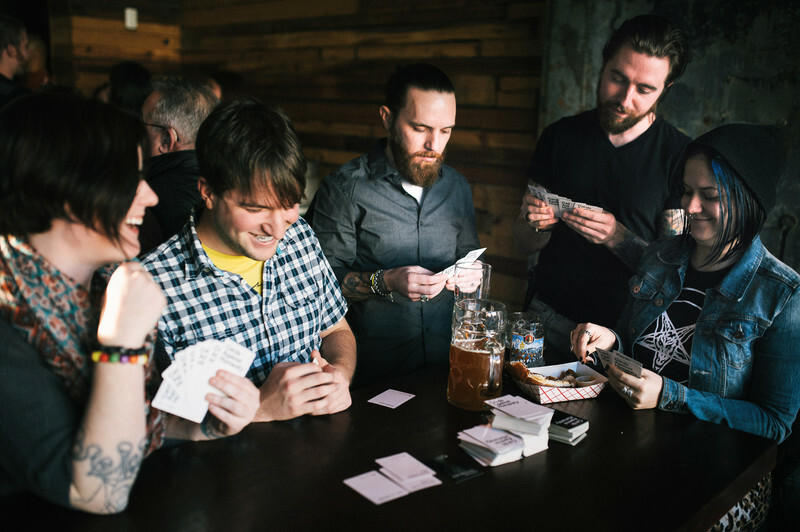 They played Cards Against Humanity, drank beer and ate the almost illegal soft pretzels from Steven Starr's flagship German Beergarden. After the game of Cards Against Humanity ended they headed off to Barcade. Most engagement sessions only involve 2 people but I love how this session involved many friends. More friend joined in on the escapades through the city. Frankford Hall is a wonderful place to have an engagement session. If you are interested, we'll let you know what is involved. Contact us today.